‘The Beav’ is my buddy’s nickname. He is a funny guy and good humored. We have been partnered together on a month long training course that ends this weekend. We have eaten together, drunk together, taken daily walks together and gone to the gym together. We have had a really good time with each other and now the end is nigh, so we went big on some wine purchases last night. He picked this one because the label was so cool. Little did he know how good it was going to be. 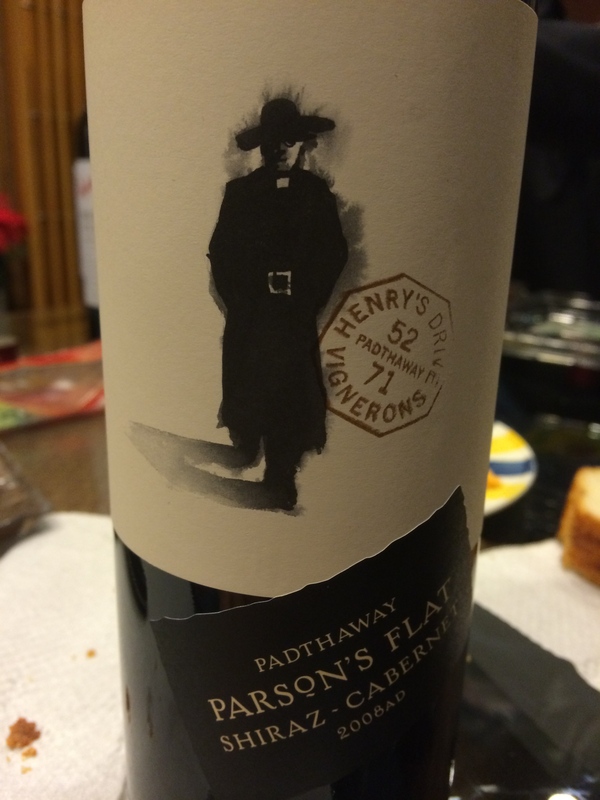 A blend of Padthaway Shiraz and Cabernet Sauvignon that have melded together beautifully and have integrated a lovely oak presence with some well crafted tannins. Dark red in the glass and showing black fruits on the nose. The taste was of black currants, blackberry and dark plums. Some mocha and chocolate powder popped out on the back end and the mouthfeel was exceptional. The structure of this wine was great, balanced and easy to drink. We happened to have a bunch of cheese and salami at the time but it would go well with Tenderloin or perhaps a roasted Cornish Hen. I thoroughly enjoyed this 91 point wine that the Beav paid $27 for making it a 5 star wine in my books. Salut….